5G could radically change not just the kinds of things we can do with our phones, but also how we interact with our smart homes, smart appliances and generally, the world around us. The development of the new wireless standard is well and truly under way, and while it will certainly could have a big impact on the types of things our mobile devices can do, analysts argue that 5G could go way beyond that, promoting a boom in the smart home and the Internet of Things. The world is becoming increasingly connected, and while the phrase 'Internet of Things' really doesn't sound that exciting, it's going to be a lot more important in our lives as time goes on. IoT isn't just about connecting everyday devices so that companies can seemingly track us constantly - it's about improving our lives. Just think about how much the internet has grown over the past decade - 10 years ago, we didn't think we needed faster connections. We were already watching videos at decent speeds, we could browse the web just fine and we definitely didn't have a connected fridge. Faster internet, however, has allowed for better video, high-performing apps and the ability to share more information than ever. Many suggest that what broadband internet did for the smartphone, 5G will do for the Internet of Things. Does my connected toothbrush really need 5G? I know what you're thinking - does a connected appliance really take up that much bandwidth? That depends. The Internet of Things is largely based on sensors, but it's not uniquely based on sensors. Sure, you might not need 1gbps internet speeds to stream Netflix, but you might need it to stream Netflix on more than one device, stream video to a server from your security camera, or stream video from a drone that your kid is playing with, as noted by Doug Brake in a report for the Information Technology and Innovation Foundation. That's especially true considering the fact that video resolution is only getting higher. Of course, that's not to say that the implementation of 5G is all about video. 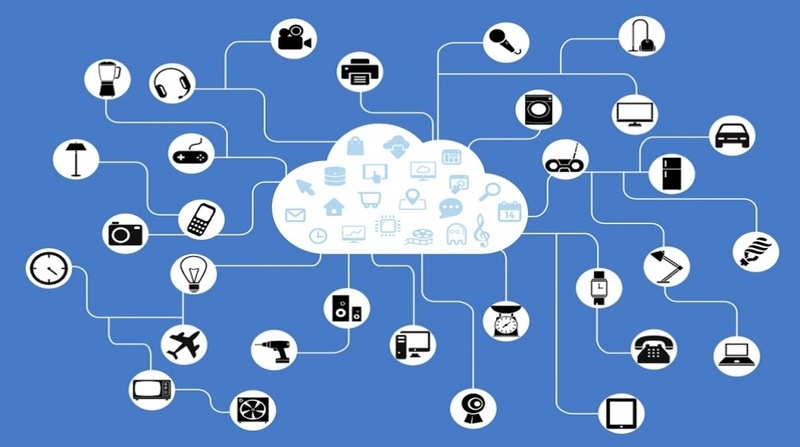 Sensors are set to continue playing a huge part in the Internet of Things. Yes, that does include a connected toothbrush, but it goes far beyond that. IoT isn't just about connecting things to the internet, it's about connecting things to each other. It can be somewhat hard to imagine why we'll need such high bandwidths of data, but that's because much of the technology that will connect to our networks hasn't been invented yet. Let's consider, for example, our digital assistants. Currently, they're limited to our phones and sometimes our computers, but imagine if they lived everywhere. If you didn't need your phone, computer, or smartwatch to interact with your personal assistant, you wouldn't only be able to tell your digital mirror to show you how different clothes look - you could also tell it to do something completely unrelated, like switch on your oven, or start your car. Each connected device could talk to some other connected device. "In the months and years ahead, 5G technology will transform wireless devices - moving beyond the handset and providing an end-to-end ecosystem and enabling a mobile and connected world," said Adam Koeppe, Vice President Technology Planning at Verizon in an email with Wareable. With devices speaking to each other, they could also help another one out. Every connected device will require a small processor, even if it's a small and somewhat limited one. With a fast enough network, the power of those processors could seriously add up - your computer could outsource the processing of certain tasks to your air conditioner. Your entire house could become one big super-processor. That, however, would require an intensely fast network, and one that would allow devices to bounce sizeable amounts of data to each other with as little latency as possible. It's important to keep in mind that the Internet of Things devices we have today simply were not built for high-bandwidth networks. In fact, 70% of internet of things devices are currently based on 2G technology, as noted by Brake in his report. That's because LTE was largely developed for mobile broadband, not connected devices. Sure, there are some new implementations of LTE designed to fix this, but it won't be until we have 5G, which is purpose-built to facilitate connected devices, that we'll have a truly wide-ranging ecosystem. The smart home is only one small part of the Internet of Things - connected devices go far beyond the home. Cars, for example, could be connected on a high level allowing passengers to watch video with little latency or allowing vehicles to communicate with each other. Infrastructure could be connected, allowing cities and governments to more easily automate how energy is used, ultimately saving power and hence money. Health is another big part of what could be done thanks to a faster network. Current networks get bogged down with too many devices connected to them, but if a network had a high enough bandwidth, individuals could have chips and sensors sending data to health care professionals, or if that's too creepy, at least to their phones and their own personal databases. This would allow for better tracking of health over time, to be sure, but it could also help prevent health-related illnesses, automatically alert emergency crews in the event of a sudden illness, and so on. None of this would be possible without a high-bandwidth network. Stadiums have enough trouble as it is with 10,000 smartphones - adding 10,000 health-tracking chips moving huge amounts of data, and a 4G network would be in serious trouble. 5G isn't here yet, but it's certainly on its way. The network will not only be purpose-built for the smartphone but also for the growing number of connected devices in the world around us. Despite the perfect match between 5G and IoT, it's projected to be in early deployment for sometime around 2020. While we're already using IoT for a variety of smart stuff, we're merely training ourselves for truly connected everything that comes with faster networks. Within the next decade we should expect a major change in how we interact with smart technology. In other words, 5G will push the Internet of Things into another age as all of our devices start connecting to each other more and more. Here's to hoping that doesn't help them rise up against us.